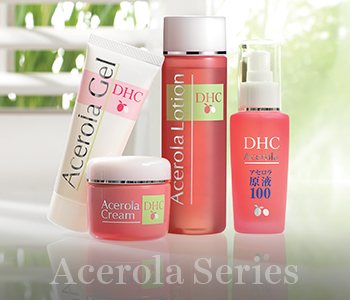 Reveal a naturally radiant finish to your skin with the DHC Acerola range. Packed full of kind-to-skin ingredients, each product in the range is formulated with plant-powered components such as fruit and seed extracts from the acerola berry, which contains more vitamin C than an orange. Vitamin C works to protect your skin from free radicals whilst smoothing out your skin tone and stimulating your collagen and elastin production, encouraging a brighter and more youthful finish to your complexion.